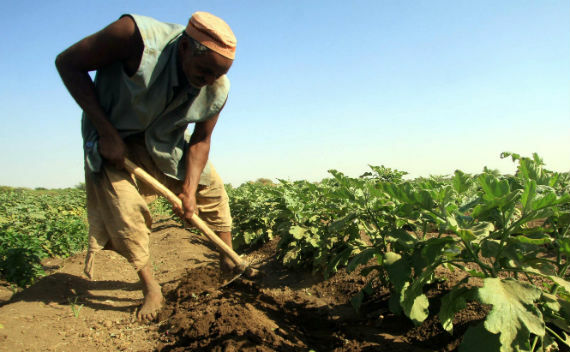 Sudan announces that Al-Dahra Holding has expressed a desire to acquire 2.4 million acres of land in one of the most fertile agricultural valleys in Sudan. June 8, 2015 (KHARTOUM) – The National Bureau for Investments (NBI) in Sudan announced that a United Arab Emirates (UAE) corporation specialized in crop production and animal feed expressed a desire to acquire 2.4 million acres of land in one of the largest valleys extending from Sahl al-Batana in the east to the River Nile state in northern Sudan. The area known as al-Hawad valley is one of the most fertile agricultural lands in Sudan particularly for maize. NBI said that Al-Dahra Holding will invest $1 billion dollars in the first phase of the project that would cost $10 billion. On its website, Al-Dahra describes itself as a “prominent leader in the agribusiness; specializing in the cultivation, production and trading of animal feed and essential human food commodities such as rice, flour, fruits and vegetables”. “The group owns and operates a large asset base including a land bank of 200 thousand acres, 8 forage pressing and production plants, 4 rice milling plants and 2 flour milling plants”. If the project in Sudan materializes, it will surpass in size the Gezira scheme in central Sudan which is the largest irrigated farm under one management in an area of 2.2 million acres.